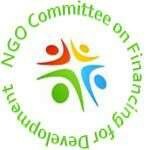 Major developed countries on Saturday succeeded in foisting, in the final G20 Leaders' Declaration from Buenos Aires, "reforms" at the World Trade Organization ostensibly to salvage the multilateral trading system from "falling short of its objectives", trade envoys told SUNS. Despite the writing on the wall that the multilateral trading system is being subjected to trade wars launched by the United States for pursuing its "America First" trade policies, the G20 Sherpas meekly agreed to the US demand to shift the blame for the current crisis in global trade to the multilateral trading system and the WTO, said a trade envoy, who asked not to be quoted. 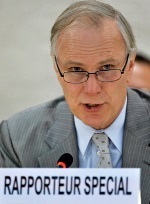 During the crucial negotiations among the Sherpas of the 19-member G20 in Buenos Aires on 30 November, the developing countries, especially South Africa and India among others, resisted the use of the term "reforms" at the WTO, and its negative effects on the developing and poorest countries, said a trade envoy, who asked not to be quoted. 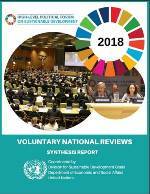 The third annual Synthesis Report of the voluntary national reviews (VNRs) is now available. 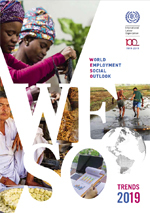 The report was coordinated by the Division for Sustainable Development Goals of the United Nations Department of Economic and Social Affairs.